Alright, so this is the last list for the Horror genre. No real rhyme nor reason to these movies, just a list of some I forgot and some I didn’t think could easily be categorized. There are some movies that I have not included at all in the Movie Goodness Horror spiel but those will be special for Halloween. I am also doing a special post on the Lord of the Rings Trilogy, so don’t fret, I saved the best for last. 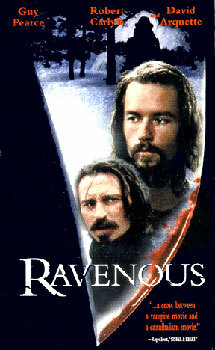 Ravenous (1999): This is one of my favourite Robert Carlyle movies. A group of disgraced American soldiers in 1847 are holed up in a fort in the Sierra Nevada mountains during the dead of winter. 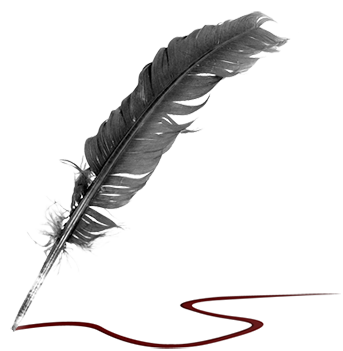 Their biggest enemy is themselves as they try to stave off boredom and get through each day in their snowy hell. Shortly after the arrival of Captain Boyd (Guy Pearce), a soldier who survived during the Mexican-American war by hiding under dead bodies, a strange man (Robert Carlyle) stumbles from the frozen night with a dark tale of murder and cannibalism. The camp of misfits is drawn into the stranger’s web as he devours them and attempts to manipulate Boyd into his cannibalistic ways with promises of enhanced virility, fast healing abilities and renewed energy from eating human flesh. I just love everything about this movie. The story, the setting, the music and of the cast which includes Jeffrey Jones, David Arquette and Neal McDonough. The music is hard to explain but it just fits into each scene perfectly. 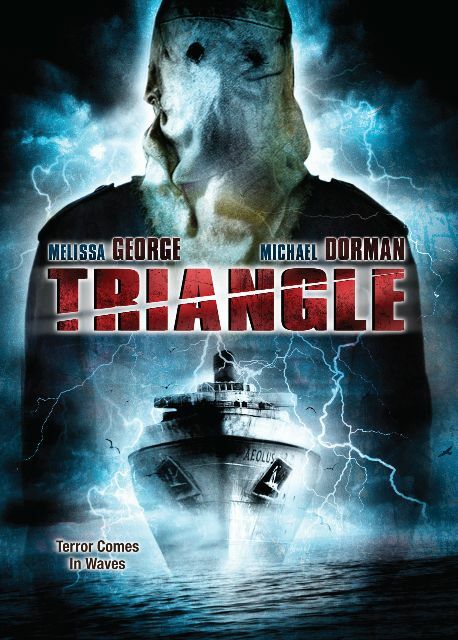 Triangle (2009): This is a bizarre, mindf**k of a movie. A young single mother with an autistic son is invited to spend a day on the ocean with a group of friends while her son is school. She is reluctant at first but goes and tries to enjoy herself. Things take a strange turn when they come across an abandoned ocean liner and odd things start to happen and the members of the group begin to disappear. And that is all I’m going to say about the movie because I highly recommend it and it takes a very unexpected and weird twist after they board the ship. Stars Melissa George, Liam Hemsworth, Michael Dorman, Henry Nixon. 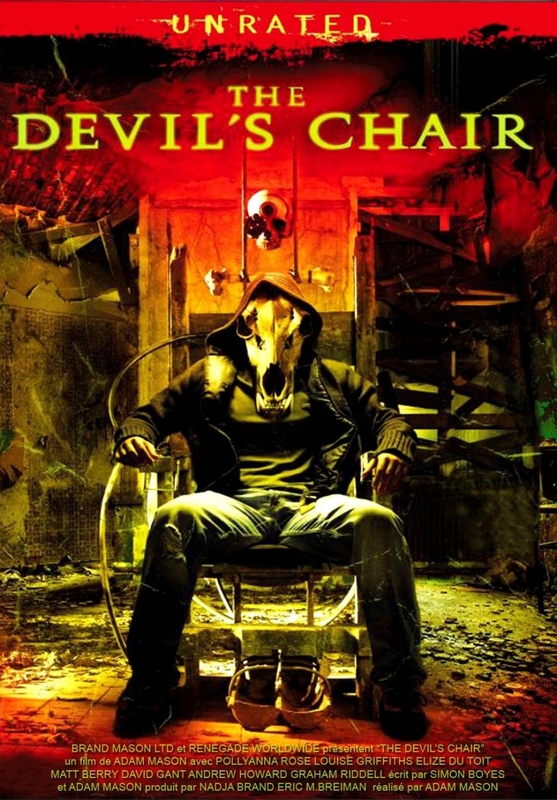 The Devil’s Chair (2007): Another bizarre movie that blurs the lines between reality and delusion. Nick (Andrew Howard) and Sammy (Pollyanna Rose) drop acid in an abandoned asylum and find a strange chair in one of the rooms. Nick wakes up sometime later covered in blood and Sammy is nowhere to be found. He is sent to a metal hospital for the criminally insane where a doctor wants to find out what happened and decides to take Nick and a small group from the hospital back to the asylum with hopes that Nick will be able to recall the events of the night Sammy disappeared. He does and it is flipping weird and very bloody. 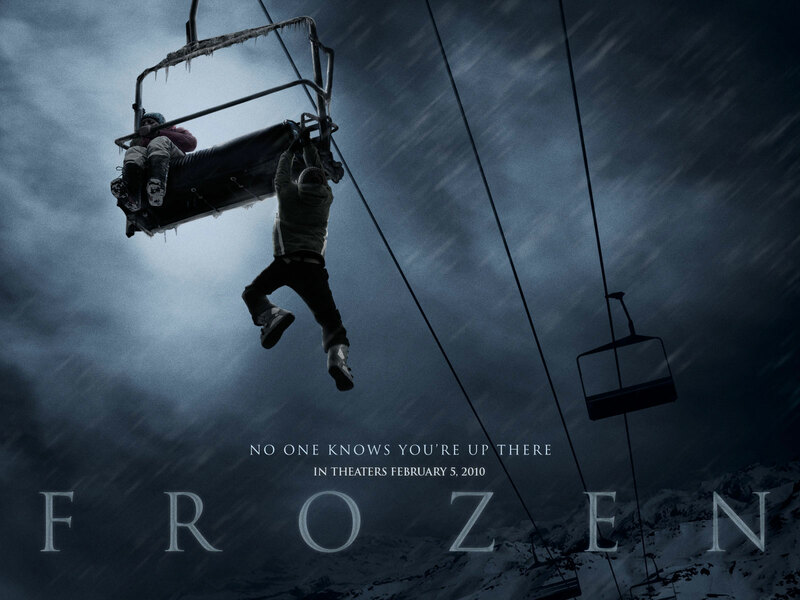 Frozen (2010): Two buddies (Shawn Ashmore, Kevin Zegers) go skiing along with one of their girlfriends (Emma Bell) and find themselves in a terrify situation as they are inadvertently stranded on the ski lift the night before the resort is set to close for a long weekend. They are trapped in the air and try to figure out what to do before they freeze to death. What would you do if you were in their situation, stuck on a ski lift as night falls and it’s start to snow? They do what instinct tells them and – watch the movie. Its dark and disturbing and very well done considering it’s 3 people on a ski lift for the majority of the movie. Good stuff. 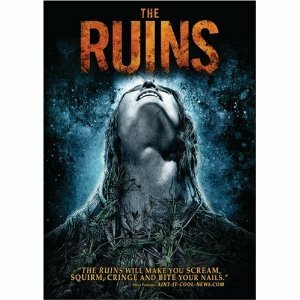 The Ruins (2008): Four friends ( Jonathan Tucker, Jena Malone, Laura Ramsey, Shawn Ashmore) are vacationing in Mexico and decide to head into the jungle with another vacationer from Germany (Joe Anderson) in search of his missing brother, who was on the hunt for an ancient and undisturbed pyramid. It has remained undisturbed and guarded by locals due to the flesh-eating vines that surround it. Nasty foliage. I’m in the process of reading the book, so I’ll see how it compares. But the movie is fantastic. This entry was posted on October 3, 2012 by Denise in Movie Goodness, Musings and tagged Emma Bell, Kevin Zegers, Melissa George, Robert Carlyle, Shawn Ashmore.